Plants play an important role in my daily life at home and at work. As a landscape architect I work with plants to create beautiful environments that help de-stress by delighting the senses. Me and my partner Matt (also a landscape architect) do the same at home when we design our rooms with plants in mind for a feeling of lushness and serenity. 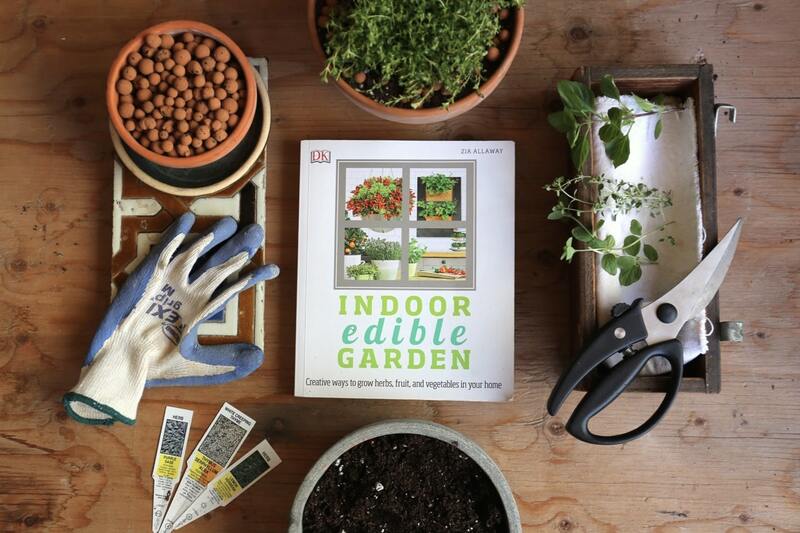 We may have overdone it with the 25 plants that adorn our living room, but we’re not the only ones going over-board gardening “the great indoors”. You may have noticed the recent explosion on social media of plant lovers and their indoor jungles. It seems that ever few blocks a shop sells plants to nature hungry urbanites. Living in a downtown condo hasn’t stopped me or my generation from owning a garden. The results of the 2016 US National Gardening Report proves that the millennial bunch and their relationship with plants is a budding one. The report states that six million new Americans took up gardening in 2005, and five million of them were in the 18 to 34 age bracket. They’re even out-greening their parents in some departments with 37 percent of millennials growing plants and herbs indoors compared to 28 percent of Boomers. There are a number of reasons why 20-30 year olds are attempting to turn their black thumbs green, one of which is location. The trend is mostly specific to indoor plants, as data has shown, fewer millennials are buying homes and more are opting to move to cities and live in rented apartments. Plants improve our health and for the price of a nice dinner, you can create a verdant garden that transforms the vibe in any room. 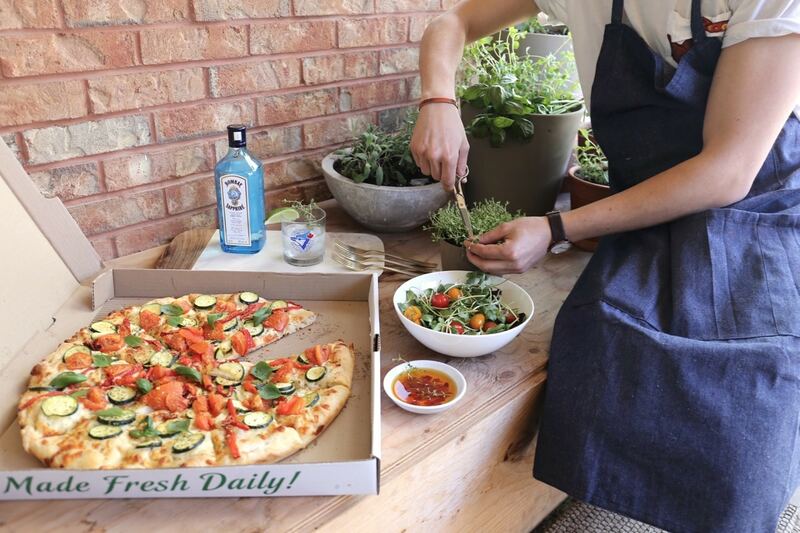 As someone who’s lived in a condo most of his life, I’ve dreamed of walking a few steps and plucking fresh ingredients from my garden to make my dinner extra special. Determined to fulfill my urban micro-farming goals I picked up a copy of Indoor Edible Garden (DK Publishing, 2017) and visited my local garden centre. Indoor Edible Garden is a beautifully illustrated photo-filled how-to manual for those interested in the joys of homegrown produce. Beginners will learn all they need to know to confidently plunge into the world of indoor edibles, while the seasoned plant aficionado can find inspiration in the wide range of projects the book explores. I fell in love with gorgeous herb and edible flower arrangements, so you’ll find me sprinkling petals on my salads all summer. Six well crafted chapters start off with an intro that helps identify what to grow given available light, space, and how much time you’re able to commit. 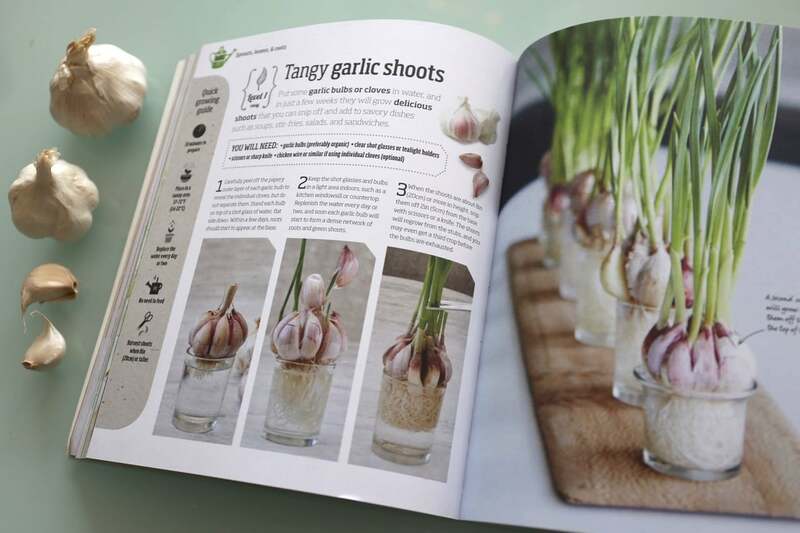 The book also covers herbs and edible flowers, sprouts, leaves and roots, fruiting vegetables, fruit and expert tips on how to keep your indoor crops healthy and productive. My confidence in cultivating ornamental plants at home does not extend to growing edibles. This is new territory for me so I decided to start with herbs and gradually progress to more complex crops. I took notes from the book on what to grow and how to grow it creatively. Here are 5 things you’ll need to know if you want to an edible garden that looks as good as it tastes. PLAN IT OUT – Think about the kind of food you enjoy cooking. Find out how much space and sunlight you will need to create a productive mini-garden inside your home. POT AND SOIL – Explore the range of beautiful pots and containers you can use to accommodate your homegrown crops. 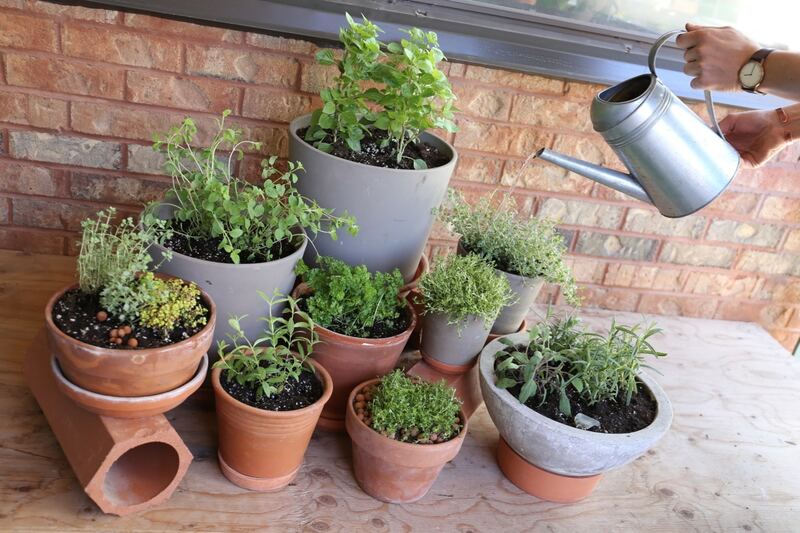 It’s critical that your pots have drainage holes to let excess water out. I found the perfect pots but had to get the man of the house to drill holes into them. Without holes your crops will likely experience problems. Add some pea gravel or clay pellets at the bottom of your pot and place some filter fabric over them so that the soil doesn’t mix in. Make sure to buy organic soil and organic fertilizers, all of which will be available at your local nursery. PLANT IN LAYERS – The trick to a beautiful container garden is to create a hierarchy of plant heights and growing habits. You ideally want three types of plants; Thrillers, Fillers and Spillers. Thrillers are your main accent plant. They guide they eye towards a focal point like a broach on an outfit. Fillers creates a sense of lushness by filling the space between other plants, they are not intended to steal the show but provide a critical supporting role. Spillers cascade from the edges of the pot and are the perfect finishing touch in your edible work of art. PARENT – Plants are like children, they need your love and care, but being a helicopter parent never ends well. Most plants die from over pampering. If you set it up right from the beginning you won’t need to fuss over them very much. Learn how much water your plant like and don’t be afraid to let the soil dry out a bit between watering. The trick is to give them a really good soak until you see water draining from the holes into the saucer, then let them be. PLUCK IT – When done correctly harvesting can make your plant stronger, more attractive and more productive. Learn the ways that your plant likes to be caressed and plucked so that you can enjoy the fruits of your labour. Many indoor edibles have scented leaves, so between harvesting run your hands through them and inhale deeply for a soothing aromatherapy break. We opted for a combination of pots since we didn’t have one large container that was big enough for all the plants we wanted to grow. We used varying pot heights to create a visual hierarchy and went for an informal clay and terracotta look. The largest pot was planted with columnar basil, which acts as the thriller plant. Medium pots contain silver thyme and parsley which act as filler plants, while smaller pots containing creeping thyme will eventually spill over the edges with their delicate fragrant leaves and tiny white flowers. The experience of having our own edible garden steps away from our kitchen is super satisfying and I would encourage anyone to give it a try. Huge harvests are besides the point as even a small amount of fresh ingredients goes a long way. Nothing beats the taste of food that has been harvested minutes before eating and growing food is one of the best antidotes to the nature deficit we experience living downtown. Remember, plants make great pets and like any good companion they have the power to turn your house into a home. Now that spring is in the air, get outside and bring some nature inside for a happy and healthy life. Joaquin is a Toronto based landscape architect who works at LandArtDesign. He lives with his plant-loving partner Matt in Toronto’s art-filled Grange neighbourhood. When he’s not picking a bouquet of wild urban plants you’ll find him in nearby Kensington market eating ceviche.